I have known this guy a long time. We hit the road back in the haze of the Dew Tour in SA. Back then he was a good, young skater with a lot of attitude, some serious promise and big dreams. 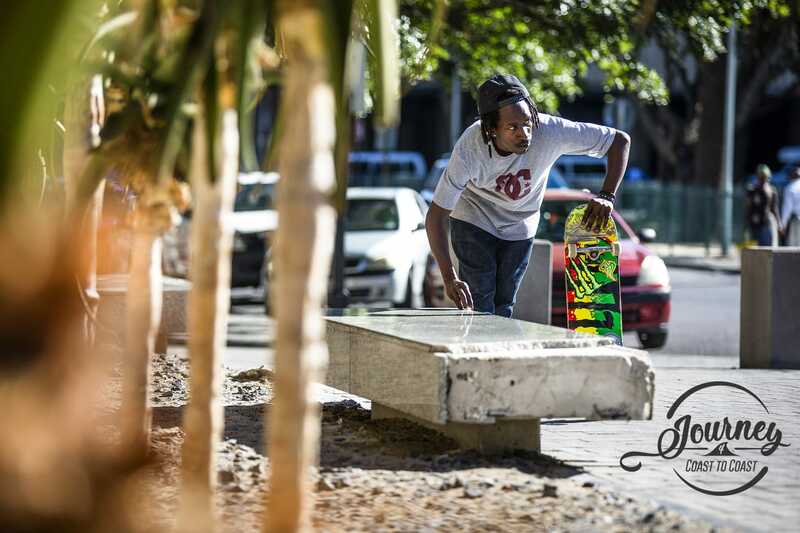 He has matured into one of the biggest names in the SA skateboard scene and seriously good human. He always has time for the kids and the fans, which says a lot about a person in my book. Khule has always been passionate about skating and music. It has been cool to see him develop both and now do well at both. I am hoping his star really shines, so MTV finally make our show, Khule and Big White… (If you know skating and reality shows, you will get it.) But really, we need to make that show. This web series is made by passionate extreme sports and lifestyle photographer, Grant Mclachlan, or Juicy as we call him. One of the SA Monster Energy crew, the guy has serious skills behind the camera and a big passion for skating. Look out for more bodies from this guy in the future. Check out Episode 4 of Khule’s Journeys.